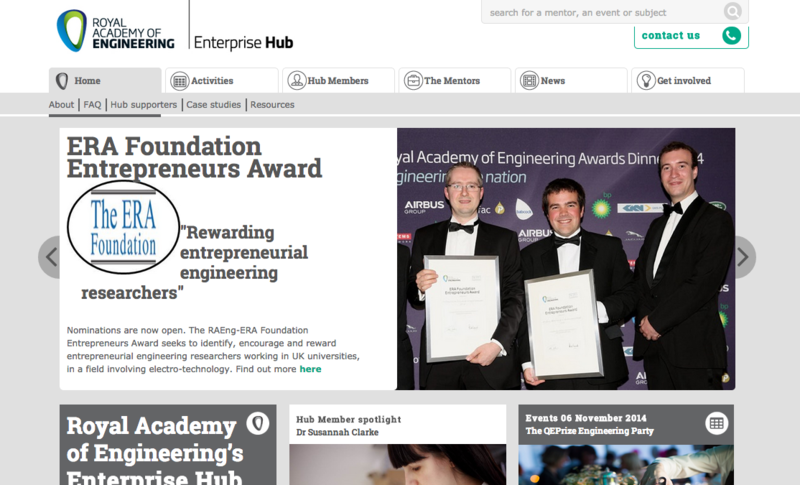 We have just launched the new Enterprise Hub for Royal Academy of Engineering. The Enterprise Hub inspires and encourages business minded UK based engineers to start their own company by celebrating successes and by recognizing the most brilliant engineering entrepreneurs and their ideas. The Enterprise Hub contributes to the development of policy and public affairs activities focussed on improving the climate for technology entrepreneurs and growth of technology companies in the UK.